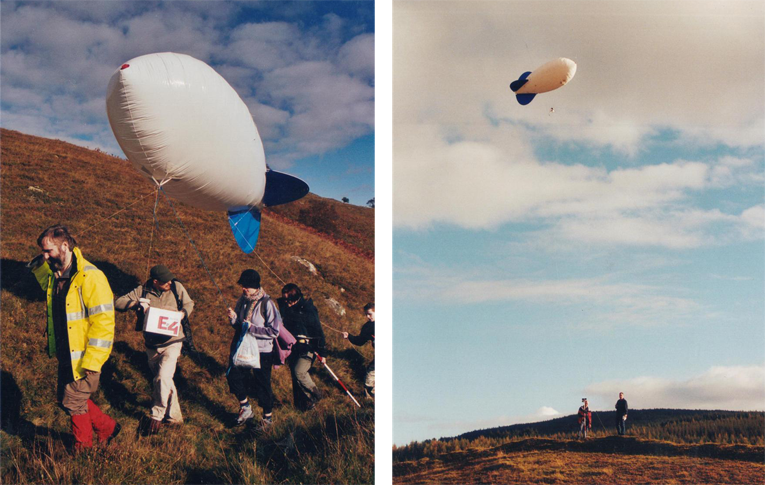 Many years ago now, I was part of a group looking at archaeological GIS and experimenting with the use of a small blimp and remote camera for the purposes of scientific research. These days you could most of what we set out to do with about £200 and a quadcopter catalogue, but this was somewhat more haphazard – and a fair bit more adventurous. 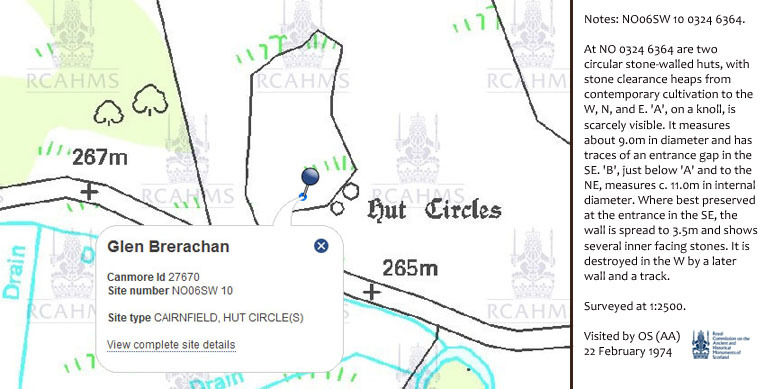 The aim was pretty simple: At our field site (~10m east of Pitlochry), there were some mapped hut circles near the road that weren’t really visible from the ground (perhaps they were clearer in years gone by?). If you hoisted up a digital camera courtesy of some nylon and helium, would we gain any insights to the structures that used to stand there? RCAHMS Canmore map record for the site, with site details. So, with permission from the (enthusiastic) landowner, we set about surveying the site. First, using GPS tracks, survey poles and theodolites / ‘total stations’ to map the field boundary and slope. Second, setting up the blimp by attaching a camera, an RF link to a handheld TV and guy ropes to the ground for manoeuvrability / making sure the blimp didn’t fly off into space. Transporting the blimp and survey equipment to the site, and our first ‘flight’ over the hut circles. TIN images from the surveyed data of the large outer wall. Once we eventually positioned the blimp over the site (battling both the wind and the coordination of many ‘pilots’), we sent up a radio signal to make the camera do our bidding. Occasionally, it even responded by taking a photo. The TV camera hookup was designed to give us an idea of the camera’s view, but this sputtered out soon after we began. 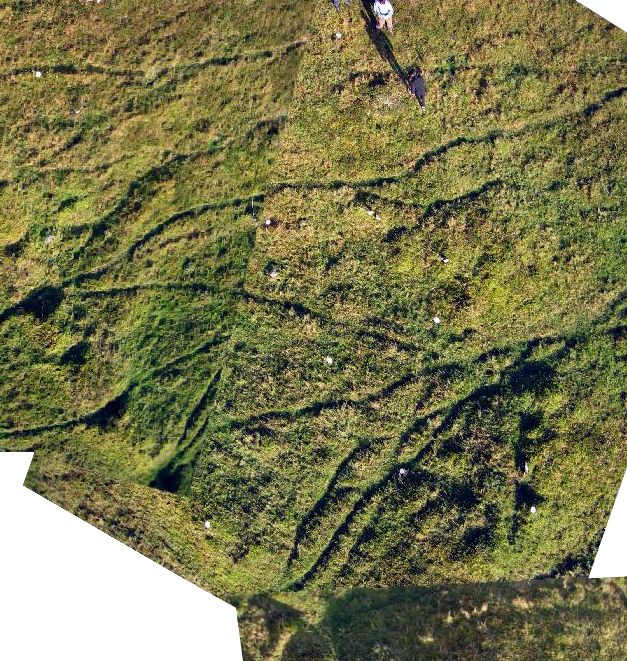 Aerial photography can give a much better appreciation of topographic changes. 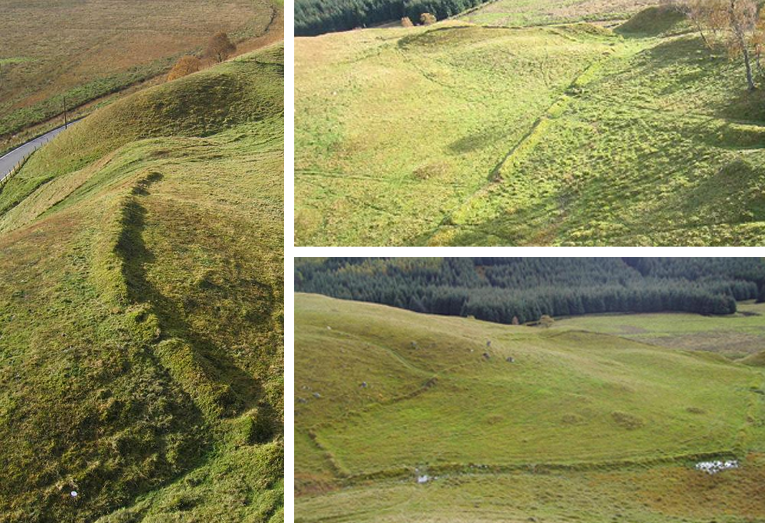 The southeast corner of the field site, showing large hut circle – stiched aerial photos (with EDM survey plots). It looks like this would have also been pretty apparent on the ground, but it really wasn’t. We saw what looked like remnants of a circle, but the aerial photography was the only clear evidence a structure used to be there. Zoomed image of the larger hut circle. It measured around 15m across, as best I can recall. Overall, it was a pretty labour intensive method that has easily been superceded by technological advances since. 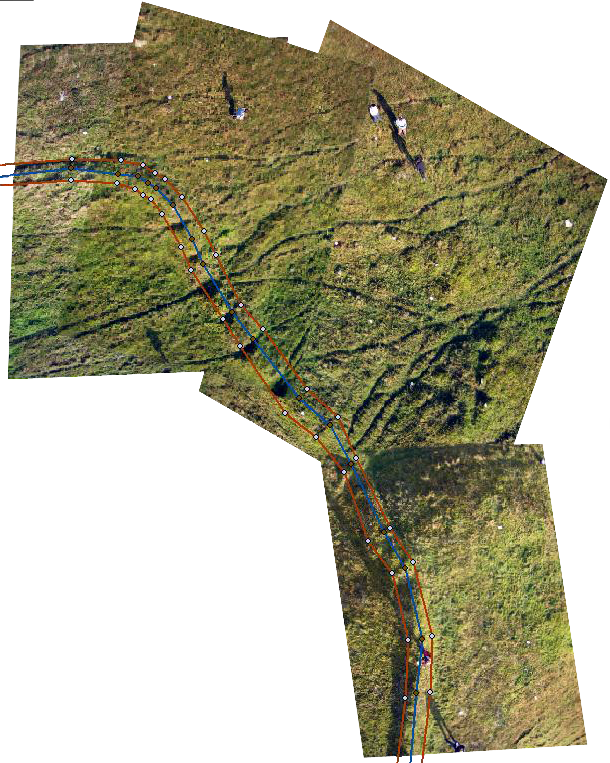 But the results were very interesting, improved on the knowledge of the site available at the time, and gave new and clear imagery and data for future research. This entry was tagged analysis, blimp, GIS, research. Bookmark the permalink.